Stout Barrel House & Galley has been completely transformed into a warm, inviting and comfortable restaurant where locals and visitors alike will be able to indulge in a unique experience, an extensive beer & cocktail program, and a second floor perfect for private events. 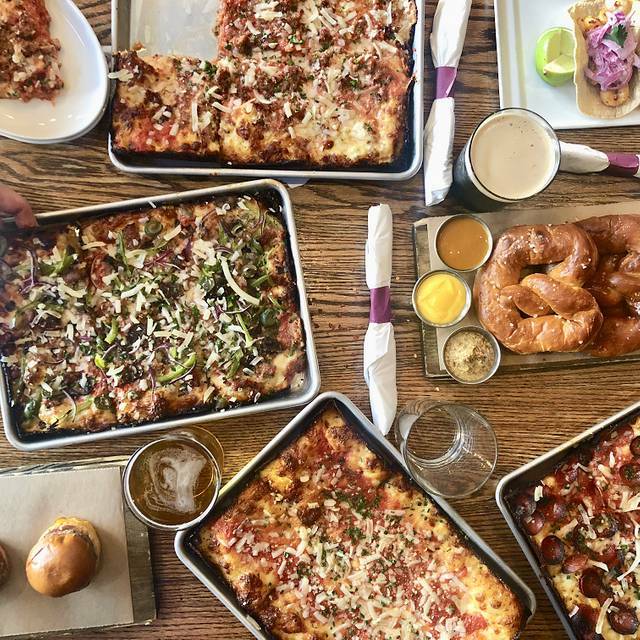 Stout Barrel House & Pizza, a refined chef driven “nitro pub” that will allow guests to experience true American comfort food. Located at 642 N. Clark Street in the River North neighborhood of Chicago. Fried pita, olive tapenade, roasted garlic & red peppers. Choice of Sriracha Maple, Buffalo, Korean Bbq Or Peanut Butter & Jelly with ranch dressing. White & yellow cheddar, bacon & short rib. Beer mustard, Sriracha honey mustard & cheese sauce. Lowa cheddar cheese, arugula & Dijon aioli. Maine lobster salad & New England style roll. Fresh mozzarella, tomato and basil & balsamic. Sausage, soppressata, egg & tomato cream. Smoked corn creme, crispy pork belly, white cheddar, house sauerkraut, black truffles & crispy brussels leaves. Jalapeno & creme cheese sauce, dehydrated tomatoes, sauteed spinach, & fried chicken. add grilled chicken for $2, herb, marinated tofu for $3, grilled shrimp for $4 or salmon for $5. Bacon, egg, blue cheese, marinated tomatoes & housemade ranch dressing. 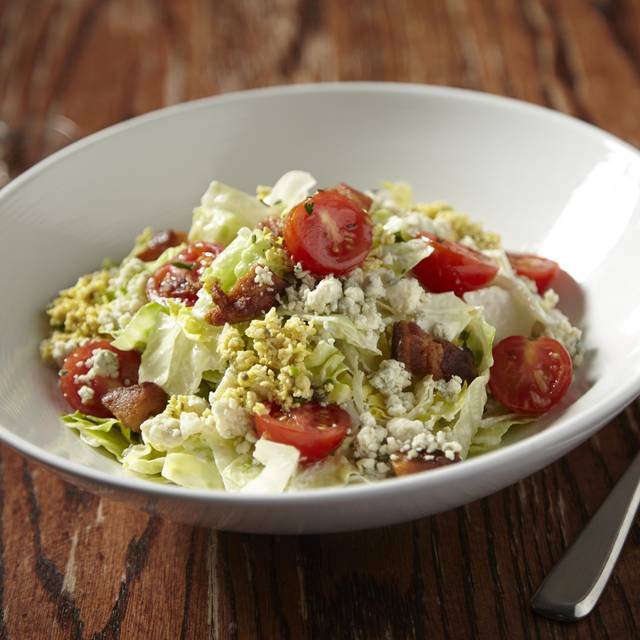 Baby romaine, parmesan tuile, parmesan cheese, Caesar dressing & garlic croutons. Goat cheese, arugula & white balsamic. lowa cheddar, arugula, Dijon aioli. Smoked turkey, corned beef, Swiss cheese, house sauerkraut & thousand island dressing. Choice of buttermilk fried or grilled chicken breast on a brioche bun topped with jalapeno coleslaw, spicy mayo and pickles. Grilled zucchini, squash, onion, bell peppers, mushrooms & asparagus, with hummus, goat cheese, avocado & arugula wrapped in a spinach tortilla. Open faced grilled cheese with Camembert and cheddar cheese and red onion confit served with tomato soup. The hummus was amazing! Huge veggies! Also, my Old Fashioned was on point! We will definitely go back! Looking forward to trying your happy hour! It was crowded Saturday night that our party of 8 with reservations could not even get inside the front door. Great beer choices, and good bar food menu. Lots of TVs. Service could have been better given the crowd. Sound WAY too high for half empty. Still, highly recommend, will definitely go back. Very friendly and prompt service. Good food and beer selection. Great, casual bar food, awesome beer list, and enough TVs to watch any game you want. Highly recommend the maple sriracha chicken strips, grilled cheese sandwich, and skillet cookie! Way way too loud. March Madness game volume so loud you couldn’t even yell loud enough to be heard by the people at our table or the wait staff. We ate and left. Might have stayed if the volume would have been tolerable. Went around 5:30 on a Sat. night. Place was moderately full and got busier until fairly full around 6:00. However, most of crowd must have been stopping by for drinks only since by 6:45 the place was almost cleared out. It was very warm in the bar, but I suppose they know their clientele since most of the women were only half-dressed in spite of cold weather outside. Food was only moderate, beer choices adequate, service okay. VERY loud music made talking difficult unless you were willing to SHOUT, but since many patrons seemed more than willing to do so, the noise was extreme when the place was full. For a large group and during the badger game, we had a great server that was always available and got everyone’s orders right! Service sucked, girl had a major attitude and rolled her eyes at us for asking for a glass of ice. food was okay but there are better places to go to eat. The brunch is really good here- make your own Bloody Mary is a great deal and really fun! We were celebrating a co-workers going away party. They comfortably sat 15 of us, and our waitress Britney was amazing. She made sure we were well fed and kept the drinks flowing. The service was terrible. The waitress was over talking to someone who I think was the manager while her tables are going dry on drinks. I was really looking forward to trying the short ribs. We decided to leave after our beers were dry for 20 minutes. Disappointing menu on open table was not accurate. Was here last year and everything was on point, but on this visit, it wasn't up to par. Our server looked like she wanted to go home, and with NO ONE in the restaurant, she couldn't split the check for a few of us. Great beer selection and the food wasn't bad. Stay away from the soft pretzel as an appetizer, it was awful. Considering the number of choices for pubs in Chicago, it will be awhile before I'm back. This was my birthday lunch with friends. 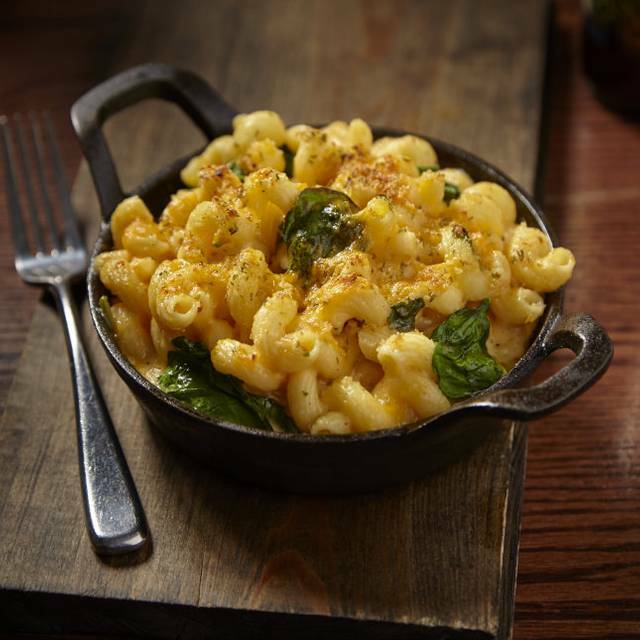 Love the comfort food and the Moscow Mules! 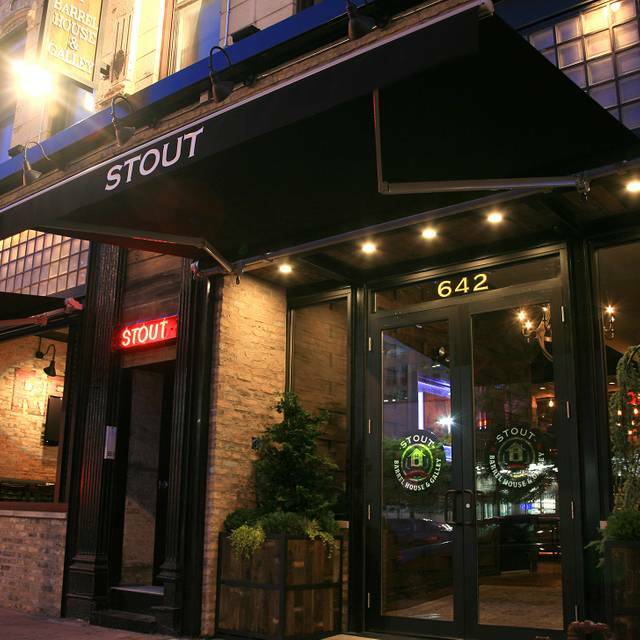 We had show tickets at the nearby Chicago Theater, and chose Stout for it's reputation as a craft beer bar. While we had table reservations, we ended up sitting at the bar because there was ample seating available. We happened to get there during Happy Hour, which definitely proved to be valuable. Not only were the majority of their beers only $3.00, they had sliders and shrimp tacos for $2.00. All of the above were amazing! I saved the best for last, as their Moscow Mules (normally $12.00) were a paltry four bucks! While I"m not a Moscow Mule expert, I have had a few, and these were by far the best I have ever had. 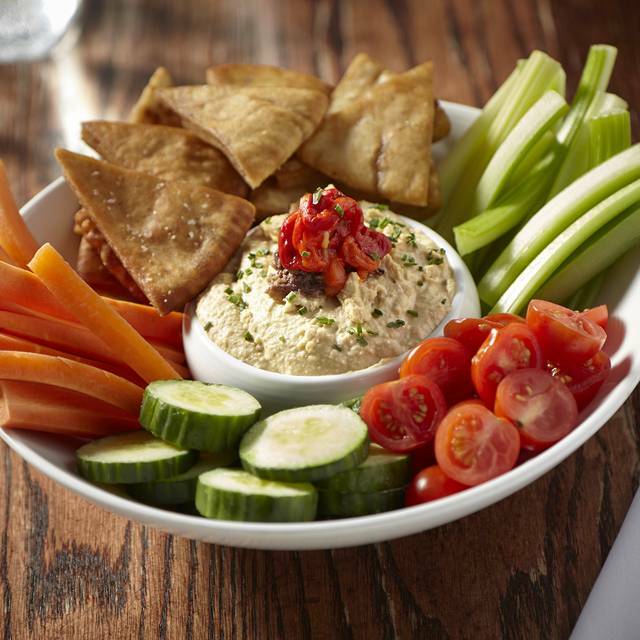 For a quick bite, especially during happy hour, this is definitely work a look. Every food item we've ordered has been great! Friendly and attentive staff. Highly recommend! I have been to Stout for drinks only a few times and always enjoyed it however I just tried their food for the first time and I was really blown away! I expected to get standard bar food but my sandwich was amazing and my friend's Salmon was delicious! This place does get very loud on Friday and Saturday nights when they're busy, but being able to reserve a booth so easily on here makes it great for groups of 6-7! Always enjoy the brunch menu, the college bar atmosphere, the bar is always full, the bive is felt trough the whole place . Service is on spot for a college bar, very polite staff. The place was not crowded and we were seated promptly. In a major departure from most restaurants these days it was actually very comfortable temperature wise. Not too hot and not cold despite the dreary rain outside. We started with the rum, blackberry, lemon, basil and soda cocktail which was outstanding. The Fried chicken was good and the smoked mac n cheese was interesting. Overall a very nice experience! The hostess was very short and kind of rude. When we checked in she was less than accommodating in a basically empty restaurant. We brought in over 25 people and had the decency to make a reservation. A little more kindness would have been appreciated. Myself and two other friends made reservations for 8 people so we could come and watch a football game. I then emailed Stout to let them know and see if it was possible for them to allow the group to sit together a week and half in advance. The person I emailed was rude and then when I got to Stout the hostess was also rude. Do not want to go back. The hostess was completely unprofessional. We entered the bar early on a Sunday evening and originally asked if they had any booths available for bottle service. She said no, which isn't a big deal, as it was crowded. However, there were several regular tables that were empty, so we asked to sit in one of those. She responded that they were all booked/full. Now, these tables were clearly open and didn't have any signs saying "Reserved," so we thought we'd check OpenTable to see if they really were ALL booked. I open it up, and there are literally open time slots (for a group of 8 at that) every 15 minutes. So we booked one, and circled back with the hostess to tell her we had a reservation. She could barely hide her disgust. When we told her, she responds, "YOU have a reservation?" and gave my boyfriend the dirtiest look. However, we had reservation, so we went to go prepare our table after her initial rudeness. Once we sat down, the actual experience was fine. I won't speculate why the hostess blatantly lied, but whatever her reason, it's unacceptable and ruined my overall impression of the bar. The hostess is the first impression of an establishment. They should be welcoming and helpful. This woman was the exact opposite of that. It was not only disappointing but borderline offensive. Luckily we had OpenTable :). Great bar w/ lots of space to sit & stand and large tables make it perfect for a large group. I hate cramming 5+ around an already crowded bar. Heated up a little later than I expected given the location--more 9-ish. Good appetizer menu--a little fried focused, but excellent. Flatbread was just okay. Good tag-team service kept food and drinks rolling. Bloody mary bar is out of this word. A meal in itself! Great place to watch the Wisconsin football game (Big 10 Championship). Great crowd, great selection of beers, excellent service, super ambiance, lots of good quality TV's. Overall a fantastic evening. 4 friends wanting a reservation at the last minute and we were so pleased. Great food! Salmon was excellent. Flatbread awesome! Restaurant was great but waitress served birthday cookie b4 dinner. it was a bit of a mix up and embarrassing. Then instead of offering it again for free I had to pay for it again. Watched the Cubs win the WS here. It's getting an outstanding. Great chicken soup! Stout burger was awesome! Great food and beer. A little too loud for our group that wanted to visit.